Earl graduated from Curtin University of Technology with a Bachelor of Science (podiatry) in 1998.
at LaTrobe University. He moved back to Perth in 2000 to undertake further research projects at Curtin University. Earl’s studies included research with Princess Margaret Hospital in relation to children with diabetes and the West Australian Police Force assessing footprints at crime scenes. He is the past president of the WA branch of the Australian Podiatry Association and board member of the Podiatrists Registration Board of WA. Earl has held positions on the UWA school of medicine education advisory board and The Athletes Foot retail podiatry advisory board. He is a clinical supervisor to the UWA podiatry students and the current Podiatrist working for West Australian Police. He has worked with Betts kids and airflex in shoe development in the past. Earl is a managing director at the Noranda and Darch clinics and is available for appointments at both locations. He enjoys his spare time with my wife and two energetic boys – Jake and Josh. Ben graduated from the University of Western Australia in 2009 with a Bachelor of Podiatric Medicine and has worked with Prime Podiatry since then. He also has a Bachelor of Science for Curtin University. Ben is a clinical supervisor of UWA podiatry students and is a member of the external review board for the podiatry course. He has extensive experience with general foot and lower limb conditions with a strong interest in sports and running injuries, biomechanics, children’s foot problems and ingrown toenail surgery. Ben is a keen distance runner and surfer. He has a two daughter’s Emma and Nina. He is a managing director of the Darch and Floreat practices but is available for appointments at all 3 Prime Podiatry locations. Amy graduated with a Bachelor of Science (Podiatry) at the end of 2005. Amy worked in private practice initially before heading to the UK for work and travels for just over a year before returning to Perth. Outside of work her active toddler keeps me very busy. Amy is available at the Noranda clinic for appointments. Katrina graduated with a Bachelor of Podiatric Medicine from University of Western Australia in 2013. Katrina enjoys all aspects of podiatry with particular interests in paediatrics, musculoskeletal podiatry, injury management and diabetes. Katrina is available for appointments at the Noranda clinic. In her spare time Katrina enjoys playing squash, acrylic painting and reading. Bachelor of Medical Science at The University of Sydney, with a double major in Neuroscience and Physiology. Sharon joined Prime Podiatry in August 2017 and is available for appointments at the Darch clinic, including Saturdays. Sharon has a keen interest in all aspects of podiatry, with a focus on diabetic foot care and education, biomechanics, ingrown toenail procedures and paediatrics assessment. She is passionate about helping people with foot-related pain and believes in the importance of regular foot care in achieving the optimal foot health. In her spare time, Sharon enjoys reading a good book and spending time with family and friends. experience in podiatry and enjoying life in the regional southwest. 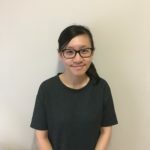 She returned to Perth in 2018 to further her education as a surgical registrar in the Doctor of Podiatric Surgery programme at UWA. Joanne enjoys all aspects of maintaining foot health and has strong interests in biomechanics, injury management and podiatric surgery. 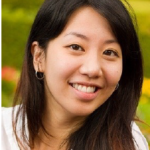 In her spare time, Joanne loves dining at new eateries, archery, martial arts and e-sports. Joanne is available for appointments at the Noranda clinic.